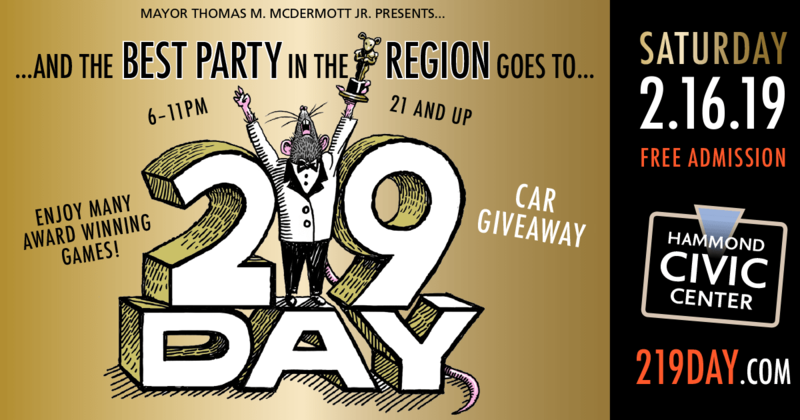 Mayor Thomas M. McDermott, Jr. and the 219 Day Committee invite all Region residents (over the age of 21) to join us for the fun, weird and wacky event that celebrates everything we love about the Region… 219 Day! 219 Day will be held at the Hammond Civic Center on Saturday, February 16th from 6:00pm to 11:00pm. This year’s theme: “Region Academy Awards”. Tuxedo Rat Piñata and more. You will even have a chance to WIN A CAR! Misbeehavin’ Meads from Valparaiso is returning! Flights 219 will be making custom 219 Day bourbon cocktails to celebrate the event. Wine and Pepsi products will be available. Food vendors exclusive to the Region will be on hand as well. T-shirts for the event are available for purchase! This year, there will be two versions available. Both 2018 shirts and past T-shirts will also be available for sale at the event. 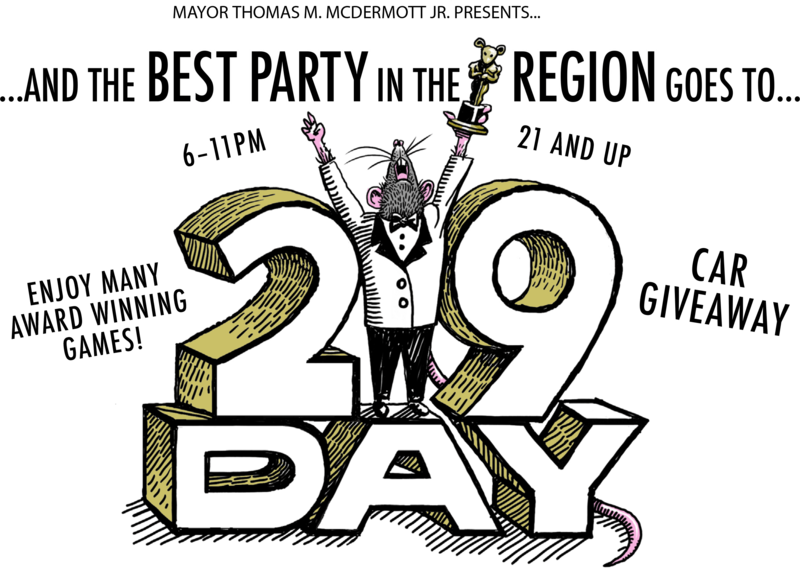 New this year, 219 Day Region Rat knit hats will be available for purchase as well. When you get there, be sure to sign our “You Know You’re From ‘da Region If…..” board posted all around the Civic Center. For those who need a ride, a free shuttle bus will be traveling back and forth to the Hammond South Shore Line train station. Visit www.mysouthshoreline.com for the current train schedule. For information about the event, please call 219-853-6378, email info@219day.com or visit www.219day.com. Check in early and often for updates at www.219day.com. Sponsorship opportunities are available. 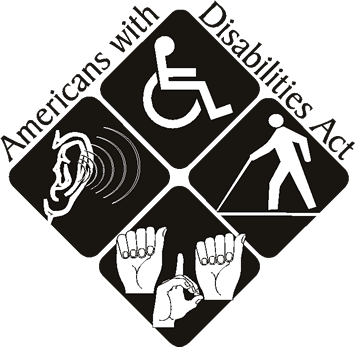 Call Donna at (219) 853-6378.